At outset, apart from trying to find a good price, you should decide which type of windows or doors you want & what material you want them manufactured from. You may also need to consider what type & how many sections of the windows you need to be able to open, as some companies add a charge per opener. What about the glazed units themselves – the width of the gap between the double glazed panes of glass can effect energy efficiency, in general the wider the gap is, the better the window unit performs (up to a certain point). Specialised glass, toughened glass, patterned glass or leaded glass. So, in general terms, you should have a very good idea of the product you want before you go looking for prices. Searching online can give you a reasonable idea about the cost, but, even with the buyers guides on our website it needs to be borne in mind that the costs you see online are not specific to your work and could definitely change when it comes to actually buying the windows. Visiting a showroom is an option and can give you a much better idea of the quality of the product which you can’t get by viewing a picture on a website. If you are dealing with a ‘sales-rep’ of a company or someone is ‘making a pitch’ to you about their products, make it clear to them that you will not be deciding on the spot and that you are in the process of gathering several quotes in order to compare the deals available. Beware sudden or large price drop incentives, offers to be a show-home with linked ‘discounts’ and offers which put you under pressure to make a hasty decision – if the price is genuine, then it will still be available tomorrow (or the week after). As mentioned elsewhere on this site, get at least 3 or 4 quotes from accredited companies before making a decision to buy. 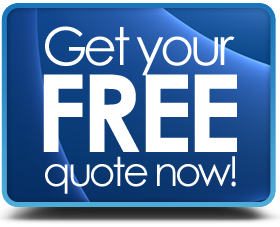 Make sure the quotes are not estimates and that if you agree to the work it is a fixed price that you pay. The quote should detail exactly what work is included and clarify the warranties & guarantees that are applicable to the work & products. It should also be valid for at least 7 to 10 days (28 is better). Keep any deposit you pay at outset to a minimum and use a company that offers insurance backed deposit guarantees. Your purchase is covered by The Supply of Goods and Services Act 1982 and as such must be “supplied with reasonable skill, be as described, be of satisfactory quality and also fit for their purpose”. If the installation does not meet these criteria then you are entitled to repair, replacement or even able to claim for compensation (the latter can be difficult to obtain). You could also consider using a credit card to pay the deposit (or the whole job if your credit limit allows) as this may give you added protection under the Consumer Credit Act. Be wary and carefully read any financing agreement that the installers offer, this should be checked to ensure it is covered under the consumer credit act (different rights may apply if you sign a contract at the offices of the company offering the finance). If you do happen to have a problem, call the company as soon as you notice it and ask them to rectify ,or repair. Make sure you also do this in writing and specify a timescale that you want them to get it done by. In most cases your installation company will quickly resolve any issues. For some time now double glazed windows have been graded to identify their performance with regard to heat loss, wind penetration etc. This rating is known as the WER (Window Energy Rating) and is accredited via the BFRC or British Fenestration Rating Council – more info here. Try to get the highest rated windows that are within your budget. Fully Installed uPVC Windows & Doors. Competitive Prices From Certified Contractors.